Creating a conversation between two typeface exhibits, The Herb Lubalin Center for Design and Typography has simultaneously opened both Types We Can Make, featuring contemporary Swiss typeface design, and Type@Cooper, showcasing work by graduates of Cooper's typeface design program. The exhibits encourage seeing with a fresh vision something that has always been in front of us. 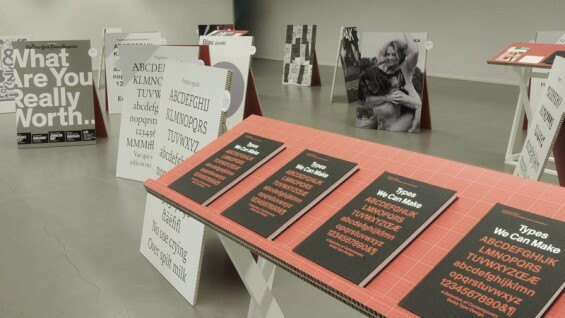 Types We Can Make, curated by ECAL (Switzerland's University of Art and Design Lausanne) presents a selection of new typography from that country, where type design has had the status of a high art form for generations. "We saw an opportunity to begin an international conversation between the students producing work in our programs and the faculty and alumni of ECAL," says Alexander Tochilovsky, director of The Herb Lubalin Center, who helped organize the show. No longer just a niche design interest, the general awareness of typeface design continues to grow in the United States as contemporary graphic designers exploit new forms of type in everything from websites to product design. 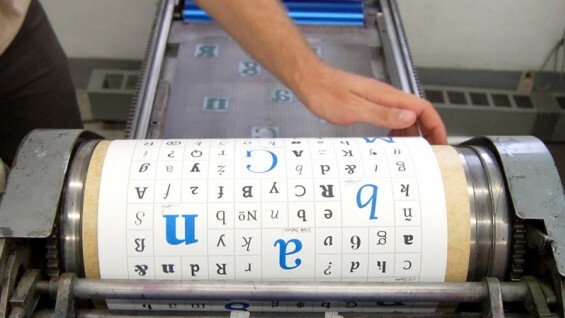 Recent popular publications like Just My Type (2012) and Thinking With Type (2010), authored by Ellen Lupton (A'85), as well as documentaries like Helvetica (2007) signify a wider national awareness of type as a crucial and definitive component of the graphic arts and industrial design. Taking an unconventional approach to a typeface exhibition, ECAL director Alexis Georgacopoulos, who visited Cooper to oversee the installation of the show, created two-sided displays that sit on the floor, like the "daily special" sandwich boards found outside restaurants. "The exhibition was designed to travel in the best way, so I designed the display structures to facilitate this," Georgacopoulos says. Each display unit features type design and black and white photos. A red grid pattern on the underside of each board helps to foreground the text, and adds a splash of color to the otherwise black and white color scheme. 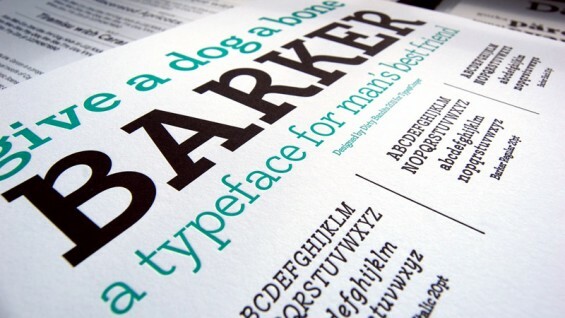 In conjunction, Type@Cooper provides examples of work by students in our own design institution. These hang from the wall, sharing the same space as the Swiss exhibit, creating a dialog between Swiss and American type design education and practice. Both exhibitions open to the public on October 24 and run through November 17, 2012 at 41 Cooper Gallery, located at 41 Cooper Square between 6th and 7th streets. Hours are Monday - Friday 11AM to 7PM, weekends 12PM to 5PM.